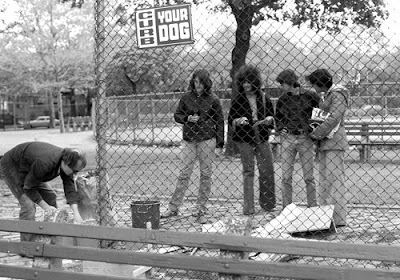 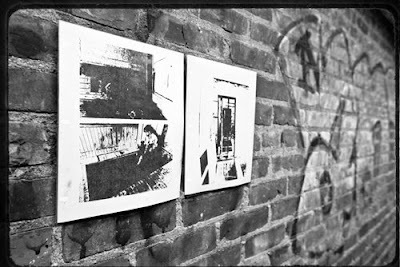 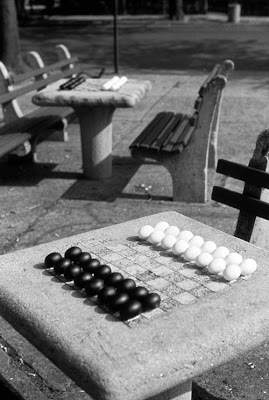 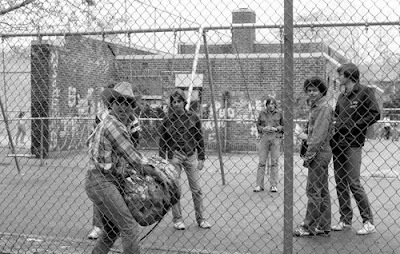 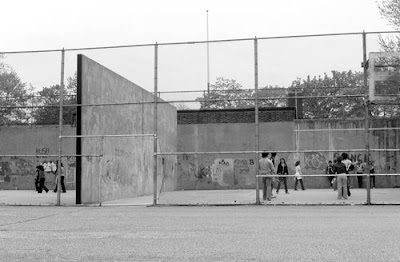 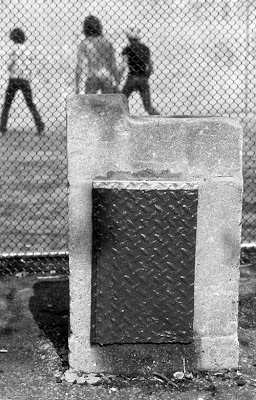 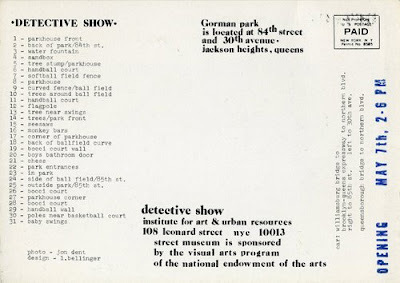 Research Archive » Blog Archive » Detective Show, Gorman Park, Itchycoo Park, 85th Street, Jackson Heights, Queens, NY 1978. 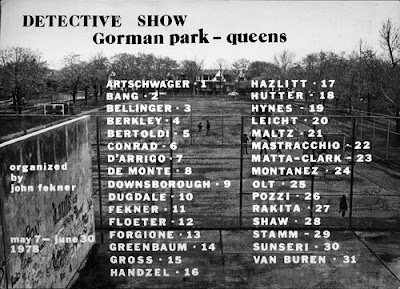 Detective Show, Gorman Park, Itchycoo Park, 85th Street, Jackson Heights, Queens, NY 1978. 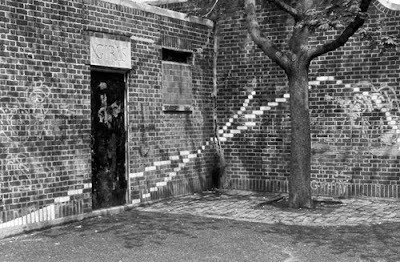 Gorman Park, also known as 85th St. Park, is among the first locations in New York to have street art/graffiti/stencils. 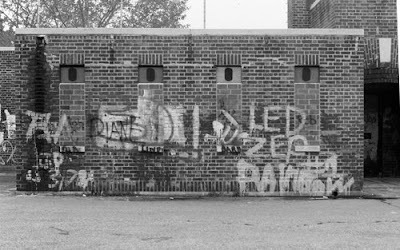 The words Itchyoo Park were painted in large white letters on the front of the parkhouse in 1968. 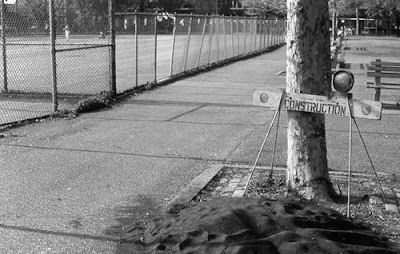 Additional street works were seen here in 1969 and again in 1977, 78 and throughout the 80s.The Detective Show ran from May 7-June 30, 1978. 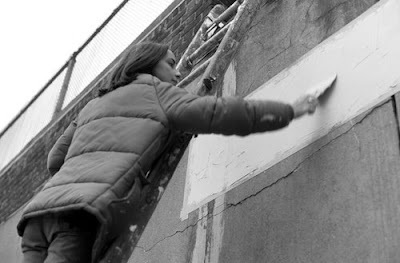 Artists were invited to create site specific work during April. 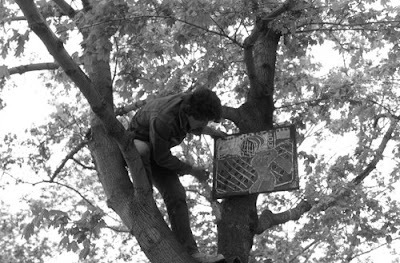 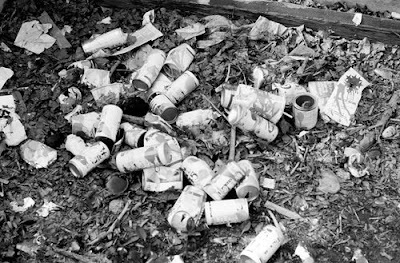 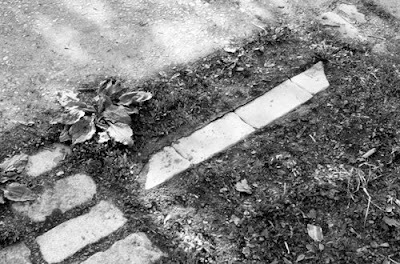 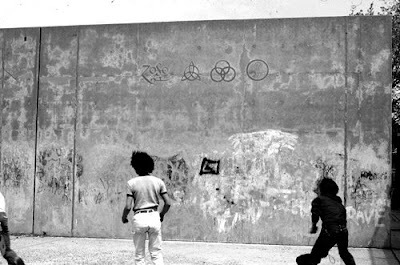 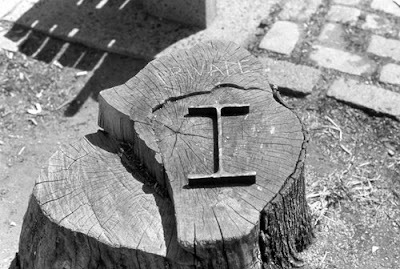 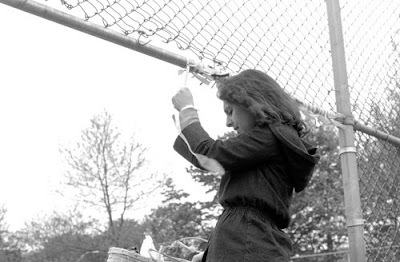 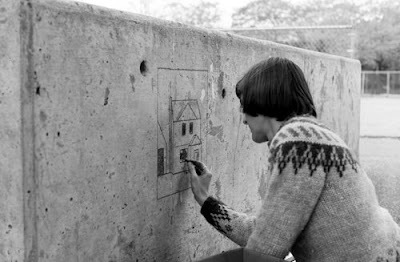 Gordon Matta-Clark, Don Leicht, Lucio Pozzi’s “Painted Rubbish”, Frank Olt, Len Bellinger, Karen Shaw, Richard Artschwager’s “BLPS”, Frances Hynes, and Claudia DeMonte among others, created art work throughout the park. 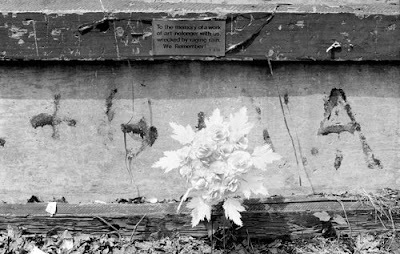 A Tribute to Native Americans in New York and Ontario, Canada.